The Battery Tender Junior is much more than a trickle charger. It has a brain! It's lightweight, compact, and fully automatic; very easy to use, especially in small spaces. It will keep your battery fully charged, so that it is ready to go when you are! Perfect for all lead-acid, flooded or sealed, maintenance free batteries (AGM and gel cell). 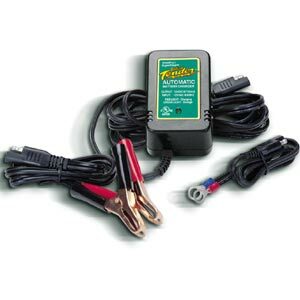 Fully automatic three-stage lead-acid battery charger. Usually ships by the next business day. Please allow and additional 1 - 5 business days for delivery to most US locations.